Dr Katharine Vincent and Ms Tracy Cull have produced a paper entitled "DECCMA's approach to the incorporation of gender". 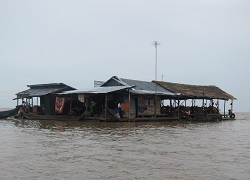 Kulima is part of the consortium undertaking the Deltas, vulnerability and Climate Change; Migration as an Adaptation (DECCMA) project, one of four funded by IDRC and DFID under the Collaborative Adaptation Research in Africa and Asia programme. Kulima has been involved in DECCMA since proposal development stage, ensuring gender was integrated into the project concept. Our current responsibility is to support the research teams in developing a gender-sensitive research design, use of gender-sensitive methods, and ensuring the analysis of findings is gendered. The paper provides an overview of how this process has occurred to date.